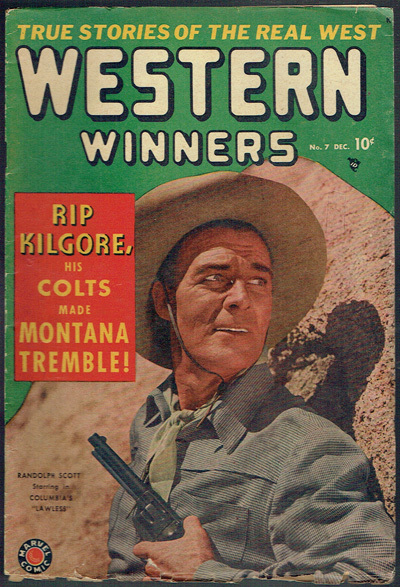 Rare Marvel western from 1949. Extra set of staples from manufacturing. Book is slightly miscut with interior a bit small then cover. Good amount of bottom edge wear due to miscut.